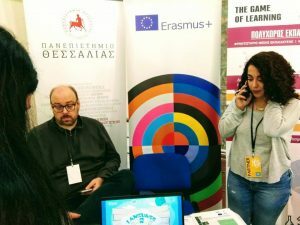 The LEAP project was promoted during the Thessaly Science Festival, which was held at Mylos Papa on October 11 and 12, 2018. The event was organized by the University of Thessaly for celebrating the 30 years of the institution. More on the event is available here. The event aimed at promoting research activities of the university the wide audiences in the region of Thessaly. 1500 learners visited the event during the two days. The implementation team had the opportunity to discuss the project with visitors and to distribute leaflets.